Add some vogue to your one's wardrobe with this sleeveless romper from the house of Yellow Duck. 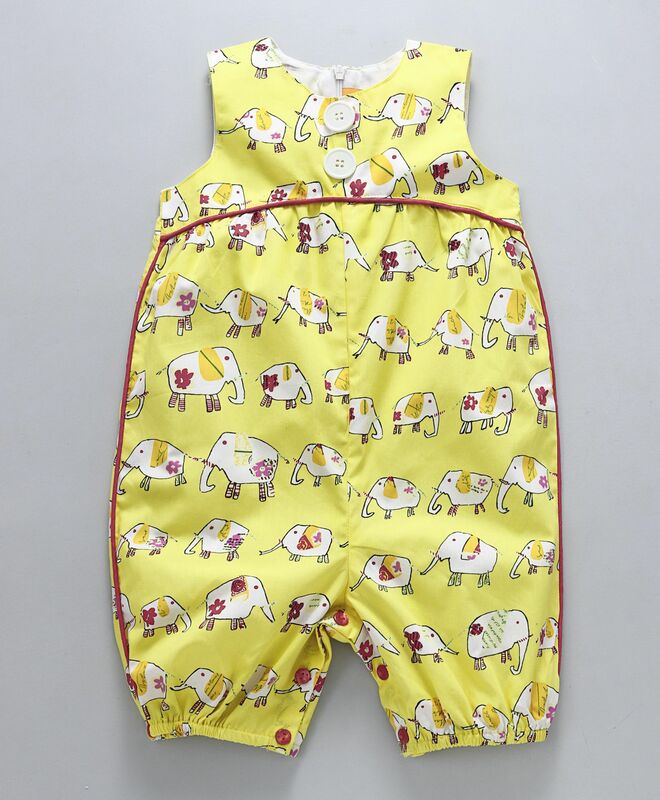 The romper has been attractively designed with allover elephant print with contrast color piping details which makes it look stylish. The contrast color show buttons adds elegance of style to this romper. Round neck romper with back zip closure easy easy dressing. The button opening at bottom ensures easy diaper changing. 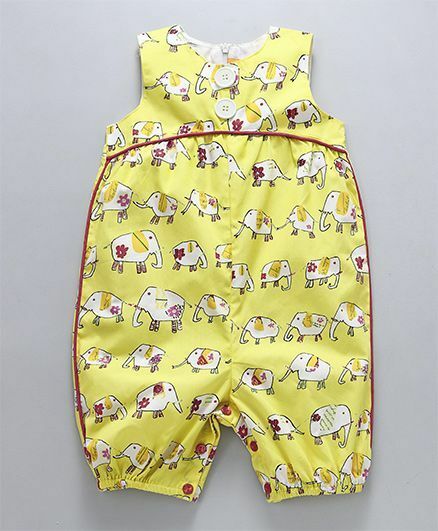 Your little darling will feel extremely comfortable all day long in this romper.